Since the beginning of my blogging career (though it isn't really a career but a passion for me), I already thought of getting my own domain name for my page. It was in 2008 when I decided to create my very first blog just because I saw my brother being busy with this stuff, I then became a copycat. And finally, I became serious doing my own after few years when my blog was approved by Google Adsense in 2010. From that day on, I never stop dreaming of having my own domain name for my blog. Godaddy, as being the world's largest registrar, offers domains for overwhelming prices. Until recently, I learned this site that offers .com domains for a very cheap price. For only US$0.871, you can have the .com domain of your choice for a year without any hidden charges. That's crazy, right? An overview: Crazy Domains is operated by DreamScape Networks FZ-LLC, a part of the Dreamscape Networks Limited (ASX: DN8) group that employs hundreds of dedicated IT professionals globally within Technical Support, Customer Relations, Development, System and Network Engineers, and much more. Source. 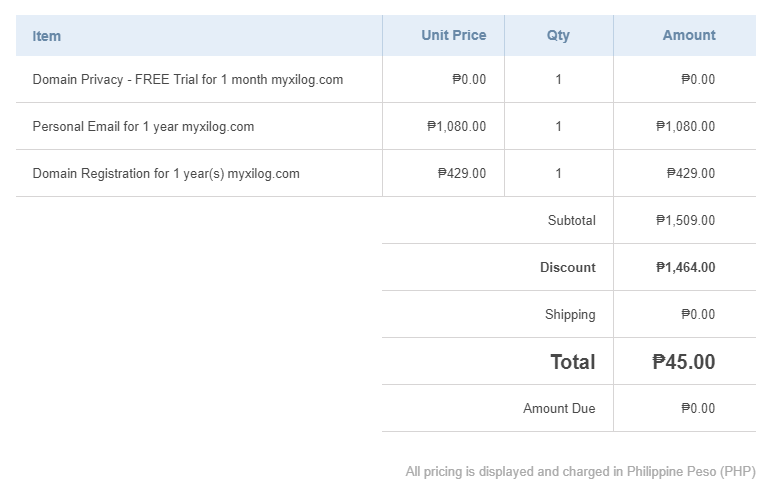 Without any dilly-dallying, I purchased my first (and hoping not the last) domain name from crazydomains.ph. I am very happy that registrars like these exist. I can now enjoy my identity on the web to the fullest. To justify my statement (of them having the cheapest price you can find), here are some screenshots of the price I paid which went by like a dream for until now, I can't still believe. It is a real steal. Aside from the domain name itself, a personal email and a domain privacy comes in handy, also, for free. All in all, I was able to save up to US$28 on their domain name registration services (that is if you do not need their hosting like me). 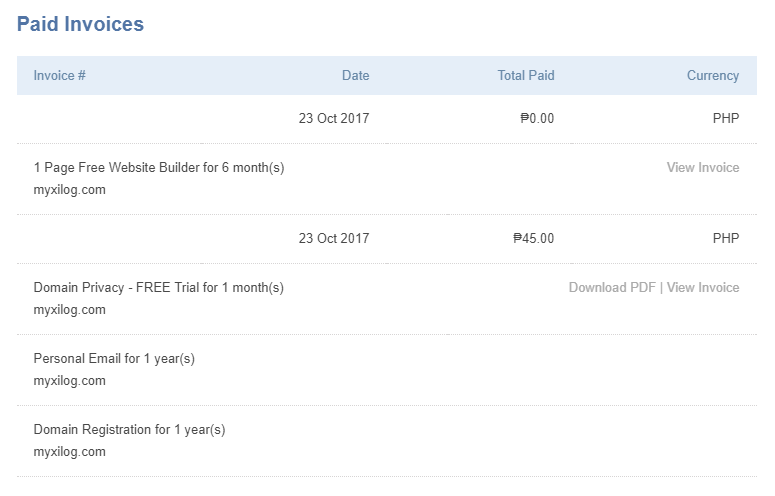 If you want to have the cheapest domain, you can try crazydomains.ph and ask their support for technical matters. Not to mention, their customer care staff are the craziest staffs online too, as for my experience. They hired technical guys who know what they are doing. Since crazydomains.ph is on sale, it is better to buy your domain today before its too late. And please do not forget use this link when you buy your domain name. Thank you and happy do-mining! So I just tried to buy a domain there, appeared to be P45 when I did the search. But when I check my cart, it's gone full prince (P429) again. Uhm, what happened there?